If you have been injured while using an e-cigarette or vape, do not hesitate to get a free consultation from our San Diego burn injuries attorney at Simpson Law Group. Call our offices at 619-236-9696. When people imagine a burn injury, they immediately think of someone touching a very hot kettle or another hot surface in the kitchen. But burn injuries go far beyond injuries sustained in the kitchen. U.S. researchers cannot stop warning American consumers of dangers associated with using electronic cigarettes, also known as e-cigarettes. In recent years, e-cigarettes have become very popular among teenagers and adults alike, largely because e-cigarette manufacturers marketed them as a “safe alternative” to traditional cigarettes. But several studies have suggested that e-cigarettes may be just as dangerous as traditional cigarettes, as the aerosol that e-cigarette consumers inhale and exhale includes such harmful substances as nicotine and chemical flavorings, both of which increase the risk of lung disease and even cancer. Also, researchers are warning U.S. consumers about the risk of burn injuries associated with the use of e-cigarettes, especially those powered by lithium-ion batteries. Reports of e-cigarettes and vapes catching fire and exploding have increased at an exponential rate recently, with thousands of users left with severe burn injuries. And now, a new study by George Mason University suggests that the number of e-cigarette explosion and burn injuries have been underestimated by the U.S. government. Our San Diego burn injuries attorney at Simpson Law Group explains that previously, burn injuries caused by e-cigarettes igniting and exploding were thought to be rare. But the new study indicates that since there is no national surveillance system to monitor accidents involving e-cigarettes, estimations of burn injuries and other e-cigarette accidents have been underestimated by federal agencies in their past reports. The U.S. Consumer Product Safety Commission recorded a little more than 2,000 ER visits caused by e-cigarette burn injuries from 2015 to 2017. According to authors of the George Mason University study, that figure does not reflect the real estimate of total burn injuries caused by e-cigarette explosions since not all injured people visit emergency rooms and/or report their injuries. The study also encourages federal agencies to adopt measures that would allow to conduct improved surveillance of e-cigarette burn injuries. Also, researchers call for improved regulation of e-cigarettes by the Food and Drug Administration’s Center for Tobacco Products. Thus, the next time you are hanging out in a company of people who are using e-cigarettes, try to stay away from them as far as possible to ensure your own safety. If you are an e-cigarette user yourself, you may want to take your device to someone with experience in repairing and maintaining e-cigarette vaporizers to check if the battery in your e-cig is safe for use and has not been recalled. 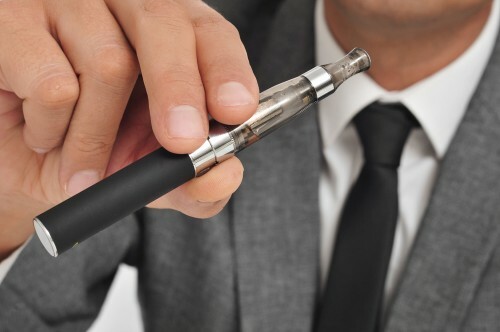 More often than not, those who sustained burn injuries while using e-cigarettes have had success suing e-cigarette manufacturers for their medical expenses, lost wages, loss of earning capacity, pain and suffering, and other damages. If you have been injured while using an e-cigarette or vape, do not hesitate to get a free consultation from our San Diego burn injuries attorney at Simpson Law Group. Call our offices at 619-236-9696.